In keeping with the Government policy requirement to dispose private property when buying HDB resale flats, 5,000 households disposed their private properties in the last eight years. The Minister for National Development revealed these figures in answering a parliamentary question. “HDB flats are meant for owner-occupation. To reinforce this principle, buyers of HDB resale flats are not allowed to retain ownership of local or overseas private properties. The Government policy requirement to dispose private property when buying HDB resale flats came into effect in 2010. The policy required private property owners who buy an HDB flat to dispose of their private homes within six months. Prior to the policy introduction, around half of private property owners who buy an HDB flat sold their private properties. The other half did not dispose their private property and held on to both properties. The policy to dispose private property meant that investors who were till then able to purchase HDB flats and keep their private property for investment purposes, were unable to do so. The Government enacted the policy to dispose private property as a counter-measure as Singapore’s strong economic growth, low interest rates and high liquidity continued to push home prices up in 2010. This sparked concerns of a property bubble. Before the introduction of the policy to dispose private property, private home prices were up 38 per cent year on year, while HDB resale prices climbed 15 per cent over the same period. With the policy initiatives introduced in 2010, HDB owners who want to own a private property can purchase one after the 5-year Minimum Occupation Period. In contrast, a private property owners who want to buy HDB flats need to sell any private properties that they own. The policy to dispose private property means that if you want to own both a HDB flat and a private property, you need to buy a HDB flat first, wait 5 years, and then buy a private property after that. 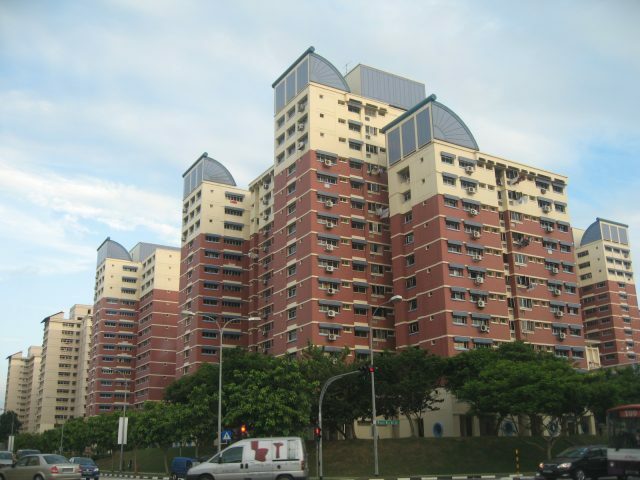 The policy changes also required HDB flat owners to occupy their flats for a minimum occupation period of 5 years before they are allowed to invest in local and overseas private property. When the policy was introduced, some had argued that a fairer, more efficient way would be to re-look the Minimum Occupation Period, especially for those who are not taking any government grants to buy their HDB flat. The policy may disadvantage some group of people – for example, an elderly couple who would like to buy a 3-room resale HDB flat to stay in while they rent out their private property unit for passive income. When buying HDB resale flats, private property owners, along with their spouses, co-applicants and any occupiers listed in the resale application, must dispose of any existing ownership or interest in any private residential property within six months from the completion of the purchase of a resale flat. If you want to enquire about upgrading from an HDB flat to a private property and have questions if you can do that, the mortgage consultants at iCompareLoan mortgage can set you up on a path that can get you a home loan in a quick and seamless manner. Our brokers have close links with the best lenders in town and can help you compare Singapore home loans and settle for a package that best suits your home purchase needs. Plus you can find out about money saving tips here.